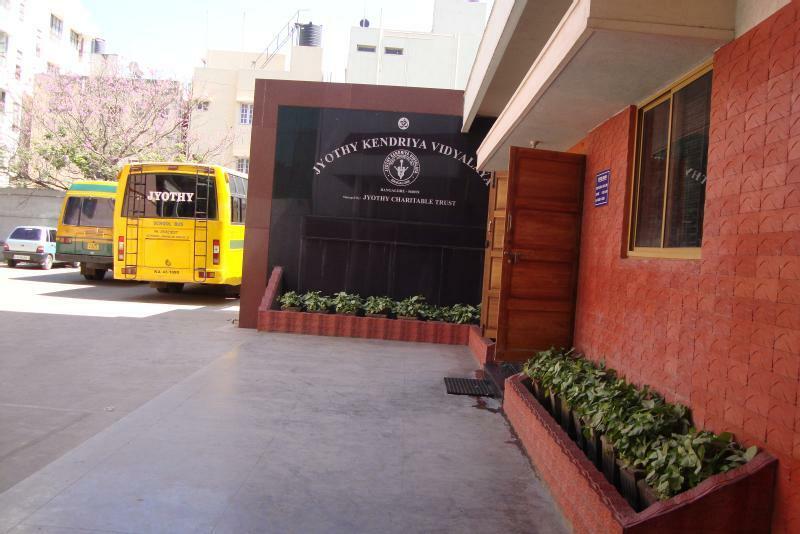 Jyothy Kendriya Vidyalaya is a co-ed English medium school in Bangalore. It was established in 1990 by Sri. B.N.V Subrahmanya in memory of his daughter Jyothy. 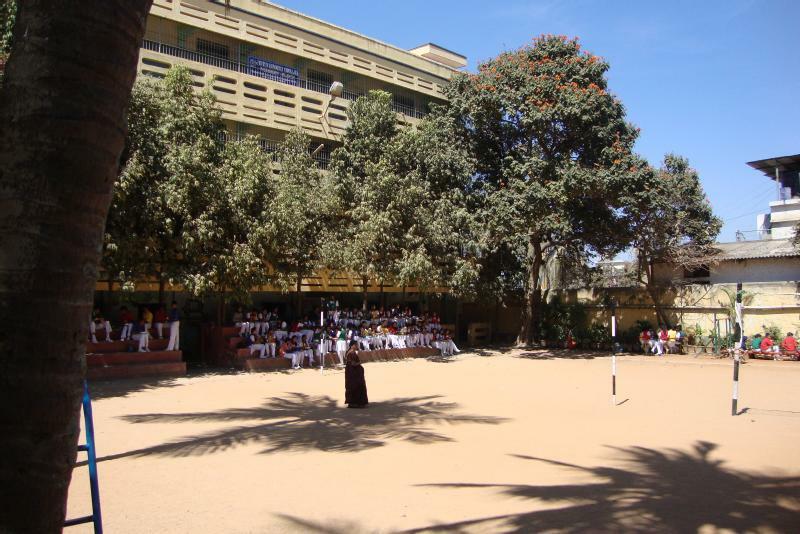 The school is affiliated to CBSE for 1st to 10th std., Karnataka state board for 8th to 10th std. and Karnataka PU board for 11th and 12th. Wonderful school, systematic and organised in teaching. Last saturday went to school campus, I liked the atmosphere. Ample space for building and play ground. Also class rooms are decent. Even they have their own swimming pool and weekly one class is swimming.Looks like fee and donation are not much. Admission for LKG only starts on Nov2nd and closes on Nov6th for 2012 batch. getting a seat for lkg over jkv is really tough unless luck is in favor of us because of the simple reason "huge competition and population applied for"
my daughter is studing in this school i think that she is really lucky, teacher are really good. Respected Sir / Madam, Please let me know if there are any vacant seats for UKG std. for the academic year 2014-15 as I am thinking of changing the school for my daughter who is currently studying in LKG std. Anticipating a positive response. My son is 2.5 yr old sep 2011 born. Is he eligible for admission next year 2014-2015? Please any information regarding admission procedure would be helpful. My daughter is studying 3rd grade in this school. When i relocated from Gurgaon, i was searching for a school in south Bangalore and one of my friend had told me about this school. I am very happy with my daughter's progression. When i visit her school , it reminds me of my childhood. I always wanted her to enjoy her childhood, i wanted her to get her uniforms dirty, play joyfully in ground, celebrate all festivals, learn about our culture..etc.. The school is very ethical, no exuberant fees structure, unnecessary projects. my wife friends were studied in this school and more over i know the school past 10 years. the administration is good, teaching is excellent and organised systematically. the quality and discipline is maintaining from the beginning. hence we like to admission my child in this school, give one opportunity to our daughter. Our son is studying in 2nd std we would like to know whether we can seek admission for the academic year 2015-16 in jkv for 3rd std. I am seeking admission for my son for LKG in your esteemed institution. 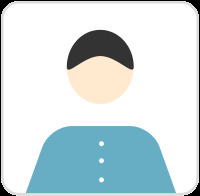 Would be highly obliged if you could share me the information. Our daughter is studying in 1st std we would like to know whether we can seek admission for the academic year 2015-16 in jkv for 2nd std. Thanks & regards.